Welcome to our PricePlow Admired Athletes section! This is where we interview our favorite bodybuilders, fitness models, sports athletes, and bikini models! If you’re an athlete and want to do an interview with us, then contact us. It doesn’t matter if you’re unsponsored, a brand rep, or an exclusive sponsored athlete – we work with everyone here! 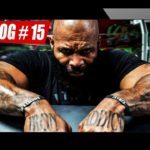 At the 2018 Mr. Olympia, I was fortunate enough to get a press pass to NutraBio’s first BioCrew event, where customers could train and learn alongside the brand’s ambassadors. 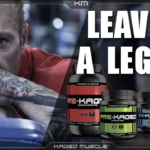 Mike and Matt had the honor of interviewing the legendary Kris Gethin of Kaged Muscle Supplements, who joined us for over 35 minutes on a Skype interview to kick off a fantastic series of new supplement launches! 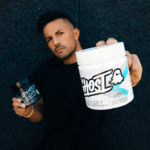 After dropping new editions of Ghost Legend, featuring Maxx Chewning and Christian Guzman, Ghost is teasing nine new potential flavors of Ghost Whey! 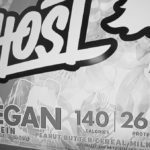 Another legendary flavor for a legendary athlete for Ghost Legend has arrived! 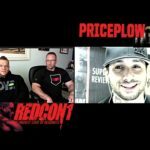 PricePlow has been covering more news lately on our YouTube channel via CJ’s vlogging. 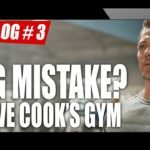 CJ Interviews bodybuilder Dallas McCarver, RedCon1‘s top tier athlete, who’s just 15 days out from the 2017 Arnold!